The Peter Cruddas Foundation provides funding for projects that benefit disadvantaged and disengaged young people in England and Wales. Priority is given to programmes designed to help disadvantaged and disengaged young people in the age range of 14 to 30, to pursue pathways to Education, Training and Employment with the ultimate aim of helping them to become financially independent. There is no minimum or maximum amount and projects can be funded for more than one year. Priority is given to applicants able to demonstrate that they can manage the amount they have applied for and how they intend to continue (if appropriate) after the funding has been spent. Please note that the Foundation is not accepting applications for Capital Projects. Eligible applicants will be charities registered with the charity commission in England and Wales benefitting people living in England and Wales. The next closing date for applications is the 1st September 2019. The Greggs Foundation Local Community Projects Fund distributes around £1.8 million per year to organisations throughout England, Scotland and Wales. The Local Community Projects Fund makes grants of up to £2,000 to not for profit organisations with a turnover of less than £300,000 a year. The Foundation are more likely to make grants to local organisations based near Greggs shops. The closing date for applications is the 30th June 2019. The Marsh Christian Trust was founded in 1981 with the sum of £75,000 by its current Chairman, Mr Brian Marsh OBE. His aim was to create a sustainable way to give something back to society by supporting organisations and people who are making a difference. The Trust supports around 300 charities every year and focuses on providing funding which could help small organisations pay for various running costs, such as volunteer expenses, training days, equipment maintenance and other core outgoings. The Trust aims to build long-standing relationships with successful applicants and, subject to an annual review, continue its support over time. Charities must have been established for more than one financial year and able to provide a full set of their most recent Annual Report and Accounts, or the equivalent financial information if their annual income is under £25,000. Grants are unrestricted and range from £300 to £1,500 with new applications at the lower end of this scale. Applications are considered on the basis of the organisation’s financial position, performance against charitable aims and objectives and the ratio of voluntary income against fundraising expenses. Registered charities whose activities support and encourage the family to work as a cohesive unit in tackling problems that face one or more of its members can apply for grants of between £1,000 and £5,000 (but trustees will consider requests for higher amounts) through the Kelly Family Charitable Trust. The Trust will consider both capital and revenue grants. The Trust is happy to support requests for core funding as well as project-based grants, and actively encourages applications from relatively new organisations to help them become established. • Interventions that support families and help them in ways that prevent the fracture of the family unit, e.g. practical family support, relationship counselling, mediation. • Families where sexual abuse, physical abuse, domestic violence, alcohol abuse and drug abuse threaten the integrity of the family unit. • Prisoners and in particular their families, during and after the period of imprisonment. The trust prefers to support charities whose income is below £500,000. However, larger charities with pioneering pilot projects will be considered. Grants of up to £10,000 are available to schools, grass roots football clubs, local authorities and professional and semi-professional football clubs and their associated community organisations that are looking to refurbish their existing or develop new football facilities. • Make improvements to facilities to address any health and safety issues. The FA to learn more about a project and determine the best way to support the applicant organisation. Sports clubs, local authorities, schools and community organisations can apply for grants of between £1,000 and £150,000 to enhance local sports and recreational facilities. The funding which is being provided through Sport England’s Community Asset Fund can be used to enhance traditional sports facilities as well as outdoor spaces like canal towpaths, woodlands and open spaces etc. that can be used as part of an active lifestyle. • Limit requests to a maximum of £150,000 within any 12-month period. Small-scale investments typically ranging from £1,000 to £15,000. These will address emergency works due to something like storm or flood damage, or something totally unexpected that is stopping people from being able to stay active right now. Medium-scale investments typically ranging from between £15,000 to £50,000. These will address more substantial changes. This might be an upgrade to an existing facility or developing a new space in the community. By exception, Sport England will consider larger investments ranging from £50,000 to £150,000. This will be when organisations can demonstrate a considerable impact or are targeting under-represented groups. They are also unlikely to have received funding from Sport England previously. This is a rolling programme and applications can be submitted at any time. The Lloyds Bank Foundation has announced that grants of £30,000 to £300,000 (for projects lasting up to three years) are available to voluntary sector organisations to support work in the criminal justice system. • influencing support for specific demographic groups within the criminal justice system. • Be willing to work with a highly engaged funder and within a cohort of grant holders. The closing date for submitting Expression of Interest form is the 31st May 2019. Organisations that would like to talk their idea through in advance, please arrange a time to speak to Caroline on the email address above. The Morrison’s Foundation awards grants to community projects that improve people’s lives. Applicants must demonstrate how the project will deliver public benefit, who in the community will specifically benefit and how it will bring about positive change. Grants may be applied for by any charity which is registered with the Charity Commission (England and Wales) or the Office of the Scottish Charity Regulator (Scotland) that have financial information dating back to 2012. Applicants must also have raised some funding towards the project elsewhere. Projects supported have ranged from support groups to children’s hospitals and homeless shelters to hospices across England, Scotland and Wales. In 2018, a total of £9,717,536 was distributed to 807 organisations. Applications are accepted on a rolling basis can be submitted at any time and there is no specific grant amount that can be applied for. Not for profit organisations, including schools that are located within 2 miles of a One Stop shop can apply for grants of up to £1,000 for projects that benefit their local community. 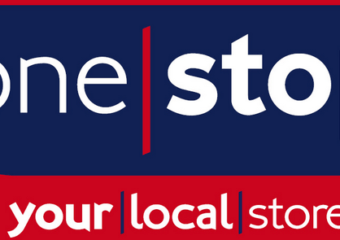 One Stop’s ‘Carriers for Causes’ is funded through the money raised from the 5p bag charge in One Stop stores in England, Wales and Scotland. • One off community events such as community fun day expenses, summer youth camp, litter picking, sports events, expenses to pay for terminally ill cancer patients on visits to the seaside. • Purchasing items to run a project such as specialised medical equipment, football/cricket /netball kit for local junior club, arts and craft materials for a workshop, kitchen equipment for a healthy eating project, marketing materials for an event, fishing kit for youth project. • Improvements to community buildings such as painting, refurbishing buildings such as hospices, scout or guide huts, school building, community centres. • Improvements to external spaces such as park clean ups, community gardens, hospital/hospice gardens, disabled access projects, food growing projects, woodland walk. • Purchasing materials to undertake a place based improvement project such as buying paint, litter pickers, gravel, grass seed, plants, and benches. Applications can be submitted at any time and are shortlisted on a quarterly basis for panel decision which will take place every three months. Applicants will generally know the outcome of your application within 16 weeks of applying. The Co-op Foundation is offering interest free loans for enterprising ideas to improve community spaces. Community organisations that manage community buildings and outdoor spaces such as parks and community centres; etc which are for the use of the whole community can apply for loans to grow their trading activities to generate more sustainable income. • Interest-free loans of up to £50,000 towards viable business ideas that will benefit the whole community – particularly those facing greater challenges. • No repayments for the first year, while your trading activities are developing. • If you are based in a more deprived area, or your work mainly benefits more disadvantaged members of the community, we might also be able to offer some grant funding alongside a loan.